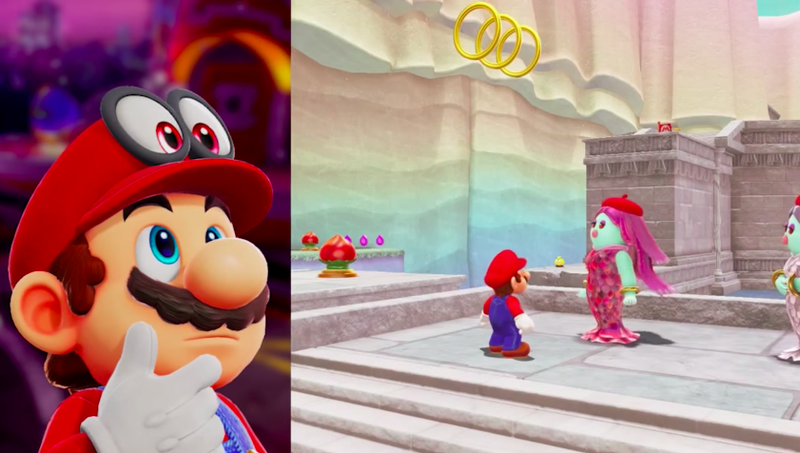 Mario is synonymous with jumping, so the prospect of playing Odyssey without vaulting into the air probably sounds ludicrous. But, as it turns out, the game only considers very specific acts to be a "jump", prompting one YouTuber to see if he could finish the game while keeping the jump counter at zero. Mario Odyssey, as many of you know, actually tracks your in-game jumps. After you beat it, Toadette can tell you exactly how many times you've jumped in any given Kingdom. According to Odyssey's own metrics, the only things that are logged as a "jump" are normal jumps, double jumps, triple jumps, backflips, side flips, long jumps, ground pound jumps, water jumps and 2D jumps. If you jump while capturing a creature, it doesn't count - which kinda makes sense, since it isn't technically Mario. This leaves room for wall jumps, pole jumps, swimming and certain Y moves that can be executed without the game counting it as a jump (so you can throw Cappy and walk into him for a bounce, but the game won't count it as a jump). It's all a technicality, yes, but one defined by the game itself. Doing this isn't simple, of course. The very first thing you have to do in the game is jump to wake up - but Gamechamp discovered the game doesn't actually count it, because it treats the event as a cutscene. Gamechamp also had to learn how to play the game almost entirely through Cappy bounces and dives, which is harder than it sounds. Things get dicey on the Lost Kingdom, which is an area where Mario's hat gets stolen. Fortunately, Gamechamp found a way to get through the level without triggering the theft based on techniques developed by speedrunners. Bowser also poses his own unique problems: He has an attack that spreads across the screen, and most players deal with it by jumping over it. Gamechamp figured out that he can do a short roll hop to get over it. But the most shocking discovery Gamechamp makes is that the game actually treats talking to NPCs as a jump, bizarrely - perhaps because the action is also governed through the "A" button. 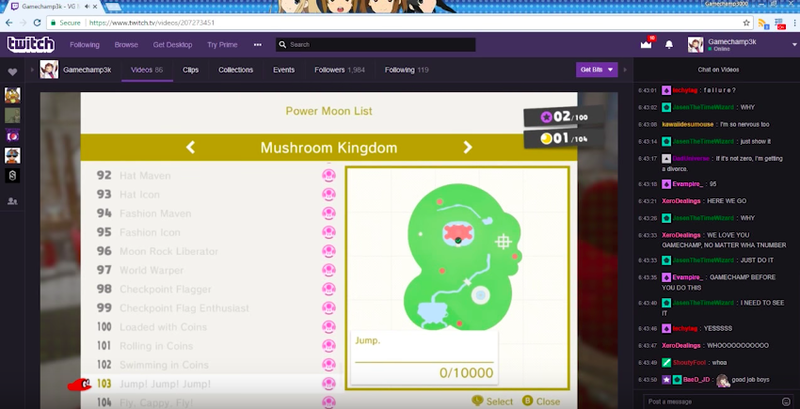 So he goes through the trouble of beating the game without a "jump", only to find out he finished the game with 29 jumps. He then has to do the whole thing over again, but without initiating a conversation. The big final hurdle to accomplishing this feat was that one of the cutscene jumps gets treated as an actual jump. Gamechamp almost thought it was impossible to get through this area without adding a jump to the counter, until he remembered that you can bring in player two to wake up without jumping. If all of this sounds absurd, it is. That's exactly what makes the challenge so entertaining. And, you have to remember that this is the same guy who played through Breath of the Wild without climbing. It's worth watching the whole video to learn about the hilarious journey to end the game with zero official jumps. Now that he's accomplished it, some fans are even discussing the possibility of making zero jumps into a speedrunning category. Does this make it a 0 A press run? Good. Now complete it with a half A press.